Branding and theme development for Wells Fargo Advisors’ annual FiNet Forum event. Wells Fargo Advisors Financial Network (FiNet) has served as the independent investment arm of Wells Fargo. The graphic messaging was developed to highlight the advisors within the network and their dedication to their customers. 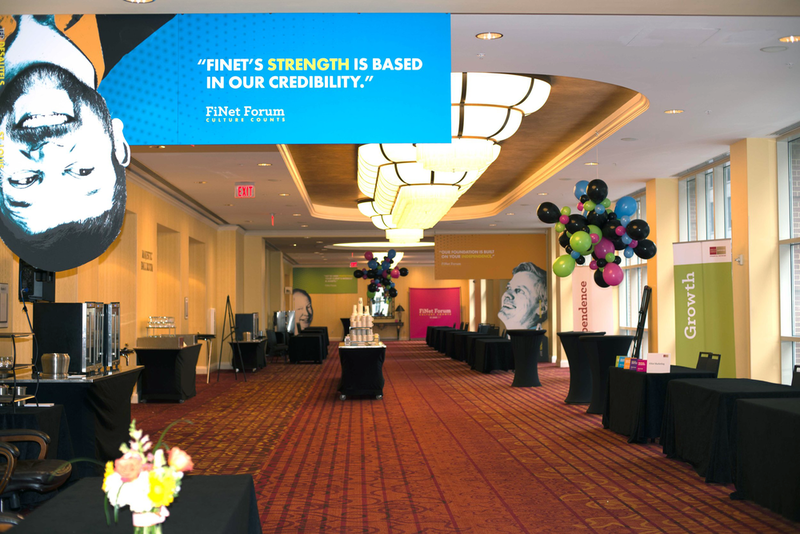 The 2017 event took placemat the Marriott St. Louis Grand Hotel, which was branded utilizing banners, signage, vinyl wall graphics, animations, and a mobile app to facilitate communication between advisors during the event.